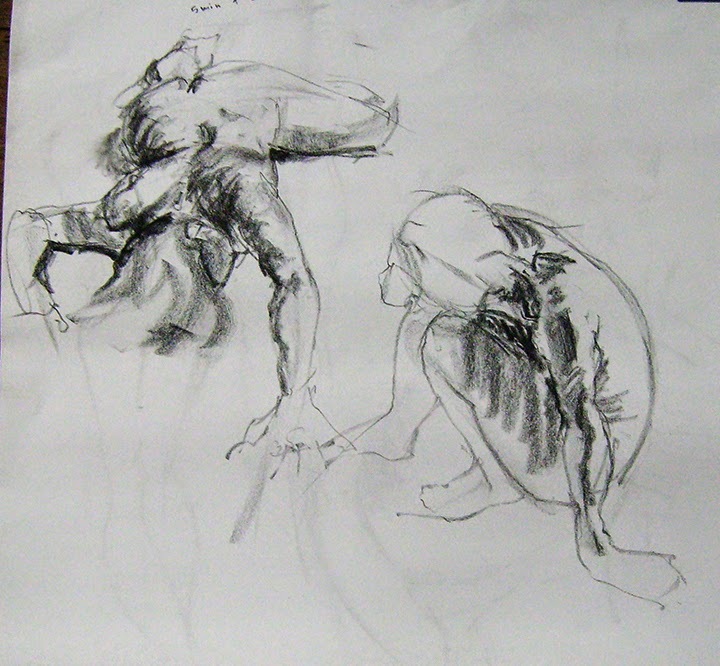 Hiya guys, so as you may know I usually do at least 30 mins of 30 sec - 1 min gesture drawings daily. However these shorter gestures have not really given me a chance to develop my skills further in modelling the form, shadows and musculature of a real set up ( I have been using posemaniacs of CG models, which has been invaluable in helping me quicken my pace & contour gesture skills thus far ). Thus I have started to incorporating longer sessions twice a week, by extending my drawing sessions to an hour on Sunday (that allows me to get in some 5 min, 11 min and 30 min drawings each) and 2 hours on Wednesday (half of which is spent on concentrating on just 1 drawing for an hour). To help with this quest though I've needed to find a resource to practice from real models online, and found http://artists.pixelovely.com/ ! 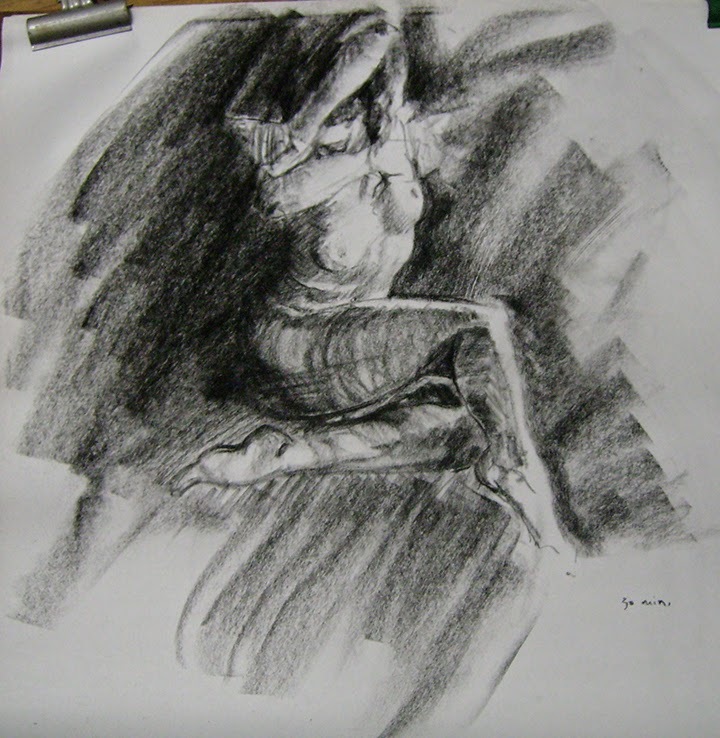 They not only have a library of real models to draw from, but have prepared class sessions that start off with shorter poses ( gestures to loosen up ) then longer and longer poses, so one can develop each drawing further!.. I've even started to use this site for my usual daily 30 min drawing sessions for the past few days. One can show ones appreciation with a quick donation for as little or as much as one can afford (they are very understanding of us 'bootstraped artists' as they call us, and I appreciate that I am able to give the little I can afford for a very useful resource). Of course the site is completely free to use too, so I can still get the diverse practice I've been needing even if it's one of those nickle and dime months.. I'll try so post my progress as often as I can!